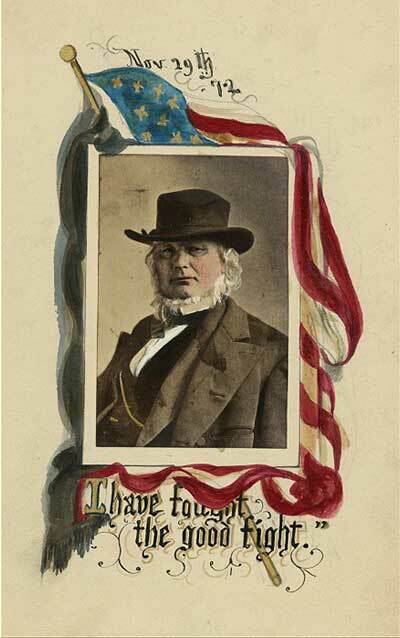 When the Civil War began, Horace Greeley, 49, was publisher of the New York Tribune was considered to be one of the best journalists in New York City. 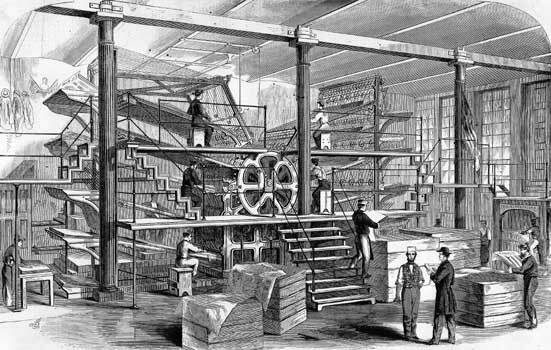 The Tribune already had substantial readership and influence in the North. He was influential in national as well as state politics using the newspaper as his bully pulpit. 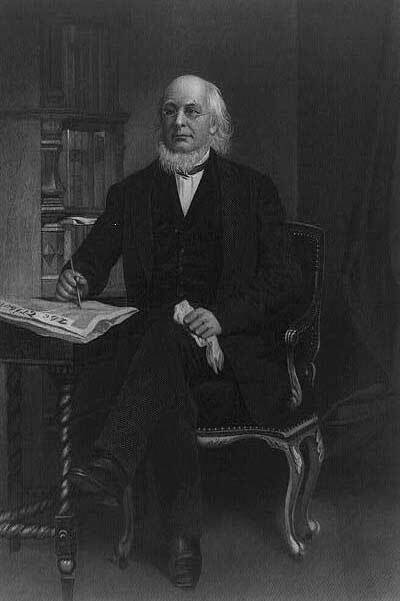 Horace Greeley opposed slavery and campaigned against the 1850 Fugitive Slave Act, which regarded slaves as property and must be returned to their owners. He promoted western expansion and supported moral issues—alcohol, tobacco, gambling, prostitution—and the abolition of slavery and socialist and feminist ideas. "Go West Young Man!" is an historical phrase attributed to Greeley. 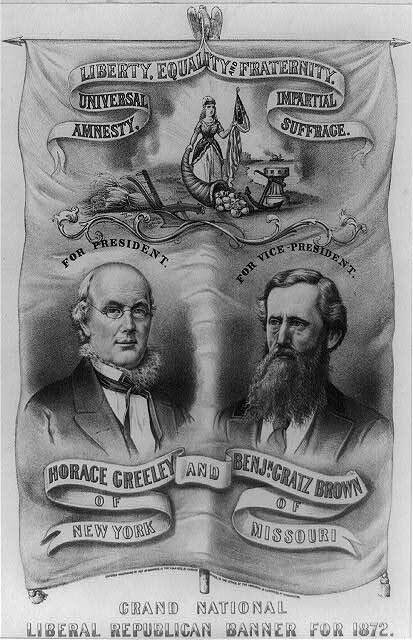 Greeley helped to found the Republican Party in 1856, but as an ardent abolitionist, did not support Abraham Lincoln in the election of 1860 because Lincoln was more interested in unifying the nation than abolishing slavery. At the end of the war, Greeley contributed to the bail bond of Confederate President Jefferson Davis, lost many readers in the process. Further dissatisfaction led him to oppose the election of General Ulysses Grant and help form the short-lived Liberal Republican Party, on whose platform he ran against and lost to incumbent president Grant in 1872. Although he gained 40% of the vote, Greeley did not get any electoral votes; he died soon afterwards.